Pale beer of slightly golden colour with a thick head, sufficient bite and delicate taste. 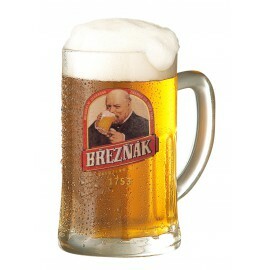 Excellent draught beer of full-value quality and taste. This beer of slightly golden colour with a sufficient bite and thick head quenches thirst easily, its delicate taste and bitterness is refreshing and calls for another sip.